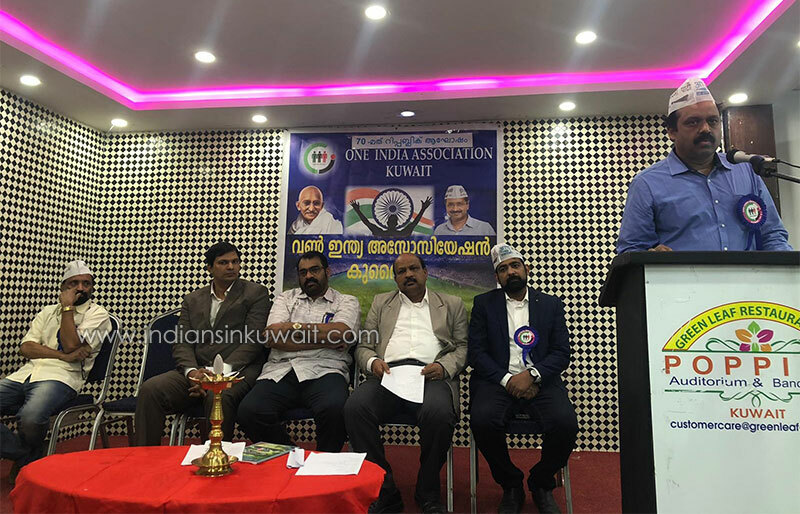 One India Association had conducted a members meet & celebrated the 70th Republic Day of India. 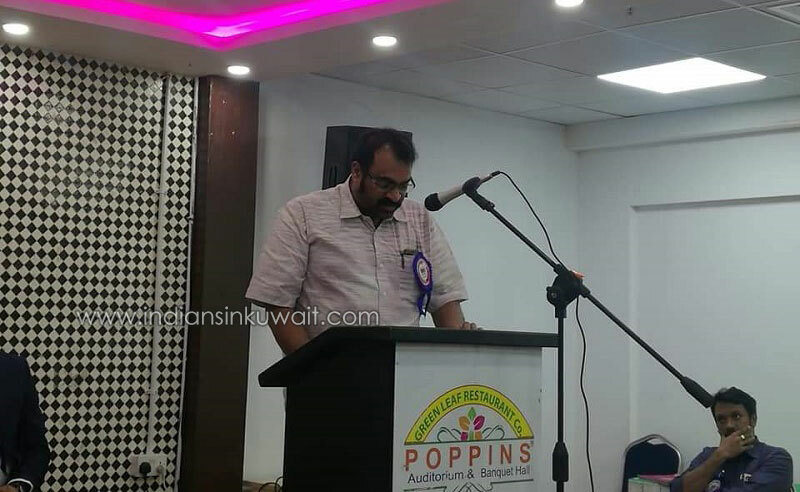 In the meeting held at Poppins Hall in Abbasiya, Mr. Vijayan Inasiya, Convenor of the organisation presided over the meeting which was attended by members and well wishers of the organisation. 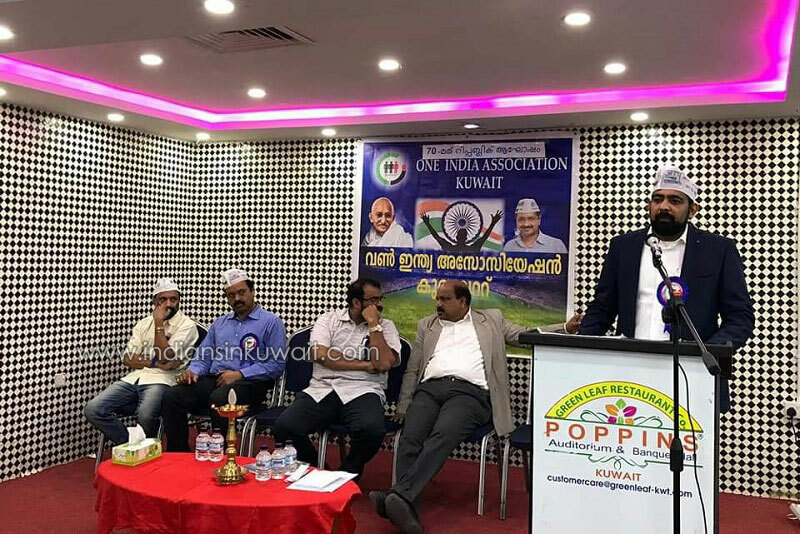 The meeting was preceded by the hoisting of the Indian tricolour followed by well known social worker and Loka Kerala Sabha member Mr. Thomas Mathew Kadavil who inaugurated the meeting by lighting of the traditional lamp. 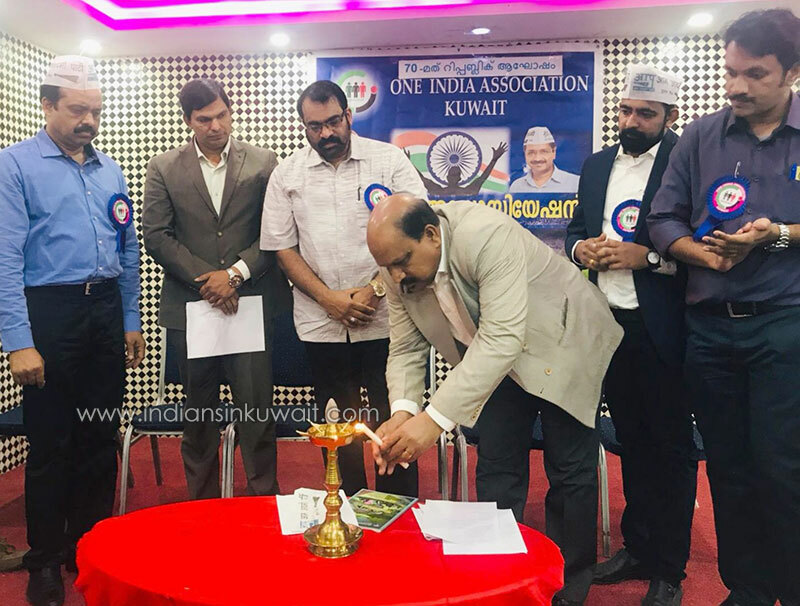 for the 2nd edition of the One India Association Trophy Football tournament also was released during the occasion by Sakeer Puthenpaalathu giving a copy to Adv. Siju Mathai. 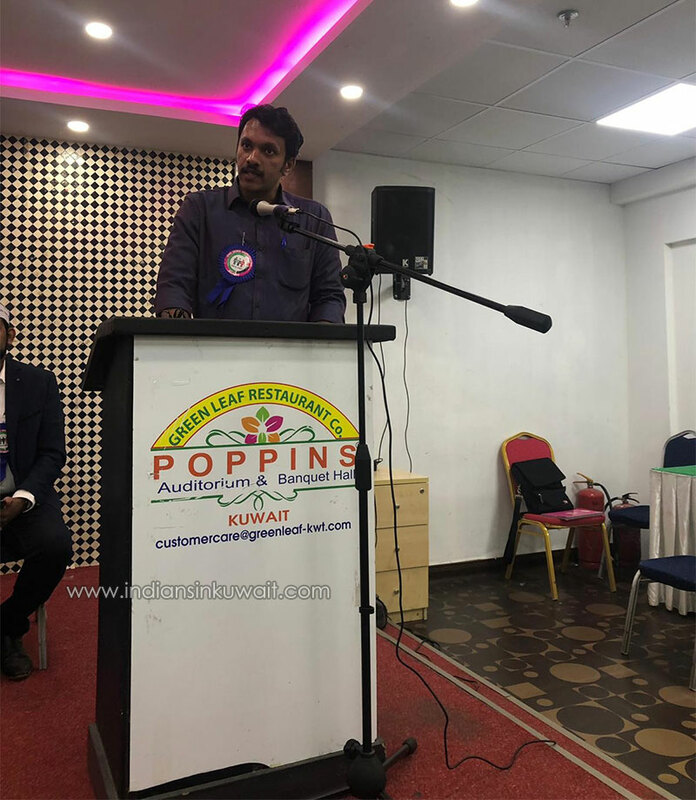 Prakash Chittezhathu welcomed all & Shibu John proposed the vote of Thanks. 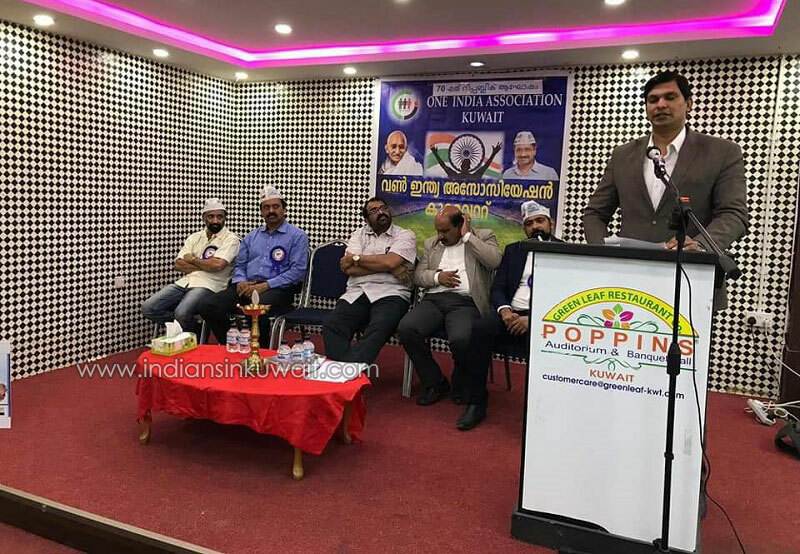 After the meeting, there was variety entertainments by the members who were present.